What can I say? 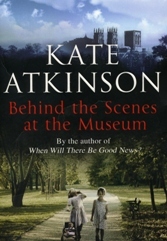 I don’t pretend to be a reviewer (though I have made a few comments about Kate Atkinson’s books in the past). If you have never written a novel you might not readily understand what a masterpiece Life after Life is. I say masterpiece – but a masterpiece was an examination piece produced by an apprentice to prove they had mastered the art. Atkinson is no apprentice. She is a master – so this piece must surely represent the very pinnacle of a writer’s art (hell, this might well be destined for Private Eye’s Pseud’s Corner). Merely to hold such sequences of events with their myriad of alternatives in your head while you are writing is a mind-boggling feat. To reproduce them on paper in the correct sequence and without muddling the events is nothing short of miraculous. Be warned. If your imagination is anything like mine then you will have trouble staying dry-eyed through the final chapters. Somehow (like me, she isn’t old enough to have been there) she got it right. I think I have read all of Kate Atkinson’s books now, though there might well be another lurking somewhere out there, I need to check. I could never write like she does, I’d have so much going on in my brain that it would start to smoke. I’ve said before that I find her stuff clever and complicated. I have no idea how she can hold so many bits of apparently unrelated stuff in her head and bring it all together at the end of her novels. But I am a geologist, and I was a policeman, so this shouldn’t surprise you. The book costs a bomb, it will set you back £160 – unless you get it like I did. I won the crossword in ‘Geoscientist‘. 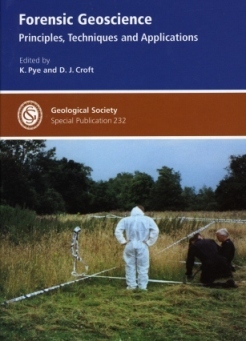 The prize was to choose any one of the Geological Society’s special publications. I chose this one. I finally finished reading it today after a brisk (and very cold) short walk in the hills to zap the cobwebs and burn off last evening’s alcohol (well, it is Scotland. And it was Hogmanay). Oh, and in case you haden’t noticed, today’s date is 1.1.11. Or 1.1.11 if you are in the USA. I’m not sure what it is that I like so much about Kate Atkinson’s writing. Perhaps it’s because the first of her books I read had Jackson Brodie, a former policeman who resigned and went on to do other things; I must have identified with him in some way. If you have ever been a police officer you will know what I mean, the moment you hand in your warrant card you relinquish a huge amount of power (and, at the time I did it, a degree of social standing). I have heard it said that ‘once a policeman always a policeman’. It isn’t true. What is true, and so personally irritating, is that you are so conditioned to the job you once did that for the rest of your life you are condemned to notice every legal trangression, however big or small. You probably need to have been a police officer to understand that – though I have been told by ex-colleagues who went the full term that their retirement came as a relief and they were more than happy to get out. Also, the police were different then – and I was in my late twenties when I left and hadn’t really grown up. Somehow, Kate, you got the police thing so right. I would love to know how and why. Please tell me. The book I am reading is one of her old ones, Human Croquet, first published in 1997. This book is amazing. 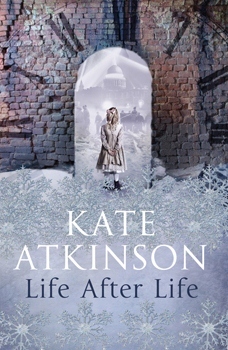 I had read a couple of Kate Atkinson’s books before I got round to this one. Several chapters into it I became bogged down with so many characters and backstory that I couldn’t keep track of things. I put it aside and read Stieg Larsson’s Millennium Trilogy. Because I like Atkinson’s writing, and because she won the Whitbread Prize (now Costa Prize) for the book in 1996, I was sure the problem was mine rather than the book’s. I took it with me last weekend and sat in the sun on south bank of Loch Tay and read it from front to back. How did you do it, Kate? I couldn’t put it down. It is the most complicated and challenging novel I have ever read and I loved it. As well as unwrapping things and drinking and eating things over Christmas I have been reading One Good Turn by Kate Atkinson. Like her earlier novel, When Will There Be Good News, it is set in Edinburgh. If you don’t know the City, don’t let that put you off, her descriptions are excellent. When I first saw the books I ignored them, their titles looked too “Mills and Boon”. I was wrong. They are about as “Mills and Boon” as Mein Kampf. The author introduces a lot of characters in the first few chapters of these novels. I have never been particularly good with names so I had to do a bit of re-reading, but it was well worth it. Don’t stop writing, Kate. Your books are a breath of fresh air.